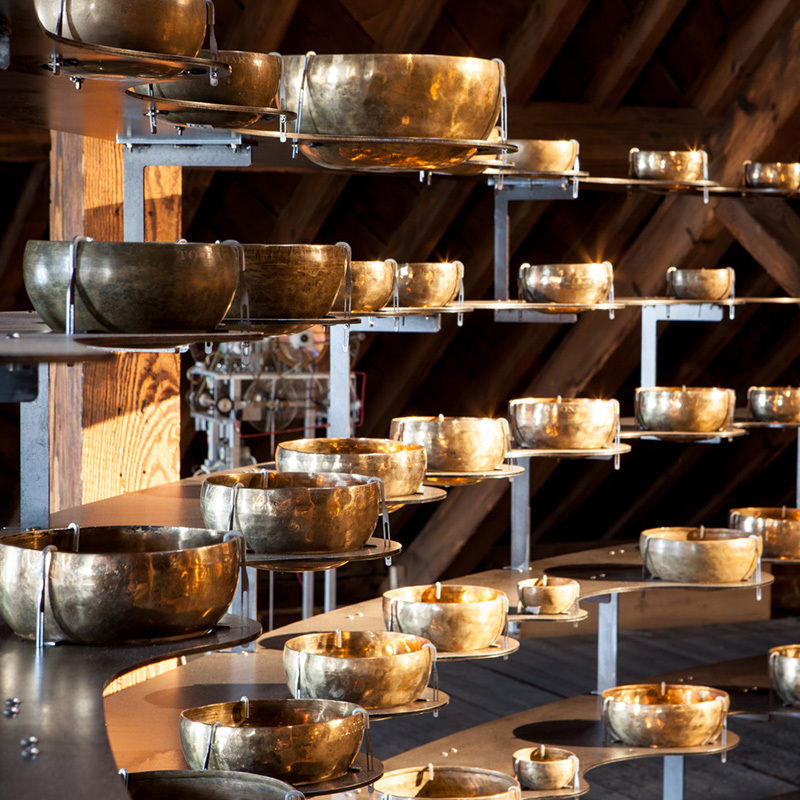 Longplayer is a one thousand year long, non-repeating musical piece by Jem Finer, composed for 234 handmade Tibetan singing bowls of varying sizes and resonant frequency. 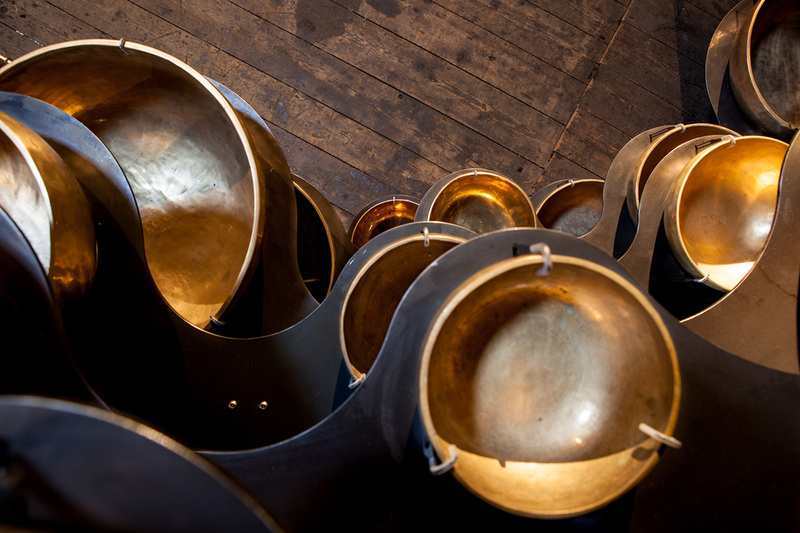 It began playing at midnight on the 31st of December 1999, and will continue to play without repetition until the last moment of 2999, at which point it will complete its cycle and begin again. 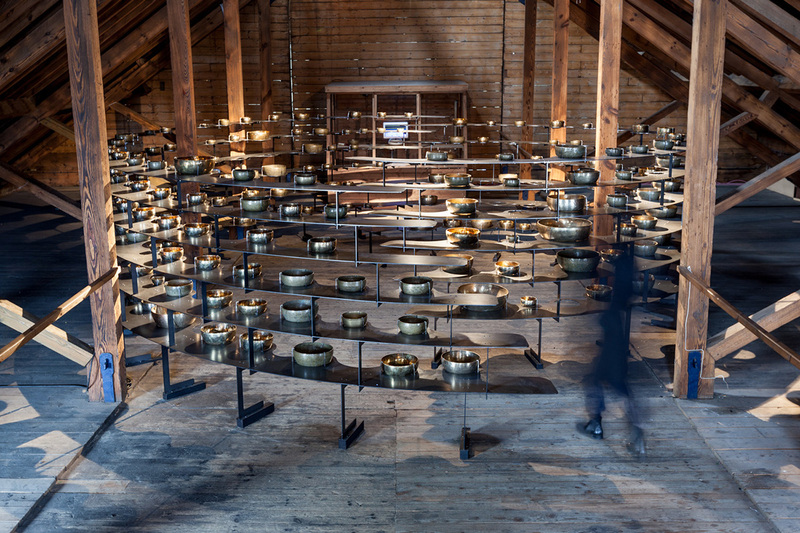 Longplayer can be heard in the lighthouse at Trinity Buoy Wharf, London, where it has been playing since it began and which was originally home to Michael Faraday’s experiments into electricity. 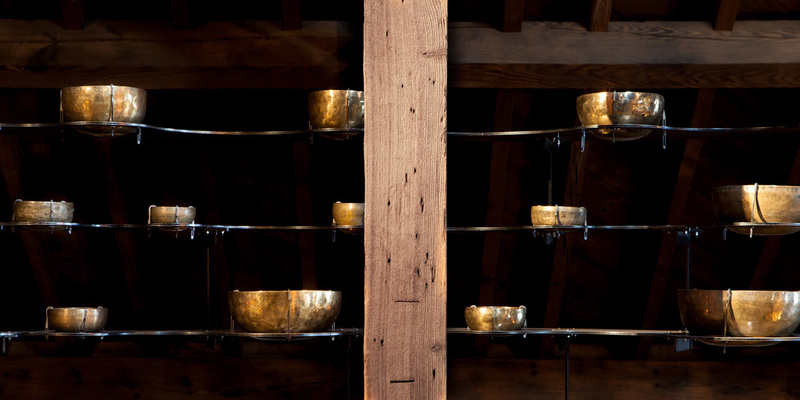 It can also be heard at several other listening posts around the world, and globally via a live stream on the Internet. 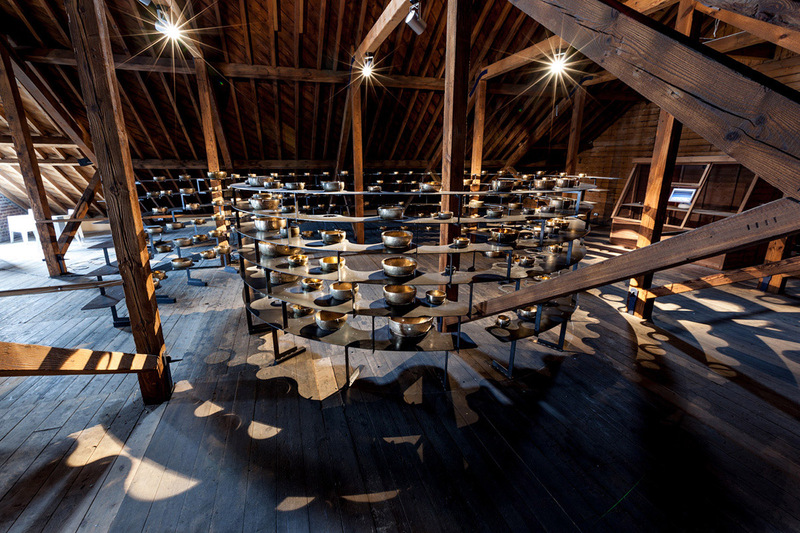 Entuitive (previously TALL Engineering) were appointed to provide the structural solution for the display of the bowls and to provide guidance on the load capacity of the historic listed building that houses the display.